ONVIF has long 'won' the standards battle for video surveillance. But has the now 10-year-old ONVIF 'won' vs direct integrations? Undoubtedly, ONVIF has very wide support, with 9,496 (and counting) conformant products. However, most VMS and recorders still offer direct integration to many devices that typically offer deeper and more reliable support than ONVIF. Indeed, Hikvision recently disabled ONVIF by default in favor of its own direct integration, a blow to ease of using ONVIF with their cameras. Has ONVIF become good enough and broad enough to displace direct integration? 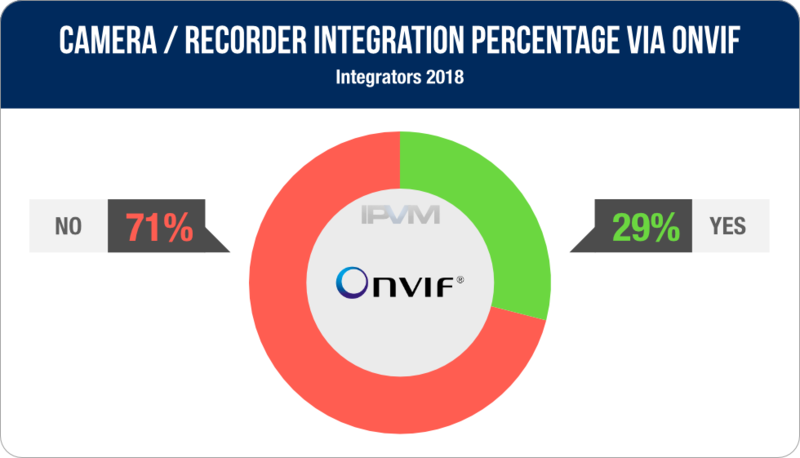 150+ integrators told IPVM what percentage of camera integrations they used ONVIF for in the past year and why. This would also mean the percentage of all cameras integrated with ONVIF is significantly less than those using direct integration, as the number of cameras using ONVIF would certainly be lower in past years as well, as the number of ONVIF conformant devices is growing. ***** ******* '***' *** ********* ********* ***** ************. *** *** *** *** **-****-*** ***** '***' ** ****** ************? Undoubtedly, ***** *** **** **** *******,**** *,*** (*** ********) ********** ********. *******, **** *** *** ********* ***** ***** ****** *********** to **** ******* **** ********* ***** ****** *** **** ******** support **** *****. ******,********* ******** ******** ***** ** ********* ***** ** *** *** ****** ***********, * **** ** ease ** ***** ***** **** ***** *******. *** ***** ****** **** ****** *** ***** ****** ** ******** direct ***********? ***+ *********** **** **** **** ********** ** ****** integrations **** **** ***** *** ** *** **** **** *** why. **** ***** **** **** *** ********** ** *** ******* ********** with ***** ** ************* **** **** ***** ***** ****** ***********, as *** ****** ** ******* ***** ***** ***** ********* ** lower ** **** ***** ** ****, ** *** ****** ** ONVIF ********** ******* ** *******. "*** ********** ** ******* * **** **** ***** *** *** integration *** **%, ******* *** ****** *** ******* **** ***** that **** ******* *****"
"**% ***** **** **** ************* ******* *** *********** ****** *** not **** *** ******* ******* ** ***** ** **** *** not **** *** ******* ****** *** *** *** ** ***, and ********* ** *** ** **** ** *** ***** ******* to *** *** *** ** *** ******* ***********. " "**% **** ** ********** ***** ***** *** ******** *******, **** will *** **** ******** **** ***/*** *****"
"****** **%. ******** ********* *** ***** ******* *** ************ ********** with ****** ***." **%.  *** *** ******** ** ******* **** *** **** * wide ********* ** ********** ******* *** ****** ******* ** *** use ** *****. "**% ******* ******* *** ******** ********** **** *** ***"
"**% ** *** ****** ****** ** *** ***** *** ** retrofits *** **** **** ** ***** **** *** ******** ************* cameras ** *** ******"
"**% - ********* *** ***** / ***** ******** **** ********* standard ********." "**% - ** **** ****** ***** ** *** **** ************* which ** **** *** *********. **** ** *** **** ***** integration ** **** ** ****** ** *** ********'* ******** *******"
"**** ** *** **** * ** ********** *** ** ******* that **** ****** *** **** *** ***. * ****** ***** the ** ****** *********** ****"
"** ******** ****** *** *** ******* **** *** **** ************/********"
"...** ******* ****** **** *** *** ** *** **** *****. Like ***** *** **** ***** *** ** **** *** *** companion ***." "...**** *** **** *********** **** ***** **** *******, *********." "...******** ** ******* ******** *** ** *** ********* **** ** VMS ** *** **** ************ *** **** ****** *** ***. Reason ** ******* *** **** *** **** *** ******* ** all ** *** *************." "**** ****** **** **** ***** ****** ******* ** ******* **** Milestone ******** **********." "** ****** *** ******* **** **** ****** *********** ** *** VMS"
"** *** **** ***** ********. ** ***** ** ** **** for ** *** *****"
"*** *** ******* * **** **** **** ****** **** **** with ********* *** **** * ****** ** **** **** **** manufacturers ***"
"** **** ******* *** ****** ******* **** **** * ******* supported *********** **** *** *** ********"
"** *** * *** **** ***** *** ***** **** *** Axis ***** *** *** *******. " "** *** *** **** ******* **** *******, ** ** **** the **** ****** **** ** *******. " "* **** *** ***** ******* ******* **** ****." "*** ******* ** **** ********* ******** **** *** ***"
"**** **** *% *****. **** ** *** ******* **** ** integration ****** **** *** *** ** ***"
"**** *** ********* ***** ** **** *** ** ******** **** video **** ***** ********* *** ** **** *** ******** **** camera '******' "
"**% ** ******* *** ********** ***** ****** ********* *** ** site ************* ************. *** ******* **** ***** **, **** ** the ************* ** *** *******." "**** ****** ***** ** ****** *** **** ** **** ****. Which ****** **** ** ********** **** *****. " "...*** *****, ***** ***** ***** ** **** *********** ** ************* issue ********* ****** *********** ***** ******* *** ********." "********* ****'* *** ******** *** ** **** ** *** *****. In ***** ***** **'* ******** ** *******, *** ***** **** be ****** ****** ******** *** ** ****." "* ****** ****** ******* ******* ***** ***** ******* ******** ********"
"*****, ** ***** ** ** *******, ** *** * ********. It ** **** *** ******* ***** ** ****"
"***** *****'* ****** **** ** ********** ******." "*% * ***’* ***** *****." "** **** ******* ** ***** ****** ****** **** ** *** integration." "***% *****, * ** *** **** ** ** “****** ******”"
"***%, ** **** ******* * ***** ** ******* *** **** are *** ***** *********. ** **** ******* * ****** ** we **** *** ********** **** ****** ****." "***%, ***** ** ********* **** ***** ******** *** *** ****** systems **** *********." "**% - **** ******* ***** **** ****** ** *** *** as ** ***** ******"
"** *** ** % ***** **** *** *********** ** ** is **** *** *** ***** *******"
*** ******** ** ******, ******, ****, ***** ****, *** *** camera ****** *** **** ** ***** ************* *********, ********* ******* S, ** *********** **** *** ******** ******* ****** ******. "***** **** ** ******** **** ** ** *** ********** ***** the *****, **** ***** ** **** ******* ******** **** *** VMS, **** ** ******** *** **** ******** ******. **** *** we *** **** ******* *** ******** ************." "*** **** ****** ***** ** ** *** ********** ****** ** not ********* ******** ** *** ***. **% ** *** *** sales **** ********." "* ****** ***** *** ***** ******. ****** *** ******* ******** with *** *** (********) *** ********." "**, ** **** *** ********." "** *** ** ****** ****** * ******* ******** *** ********, or ** ********** ******** **** ******** *******"
"*%, ****** *** ******* ******** ***** ***** ** ******* ** ACC, **** **'* **%." ***** ***** ************ *** ******* ***** * ******** ********, ***** clearly *** ****** ** *********** *** ********* ***** ** *********** video ************ *******. **** *****, ** ****** ****** ************ ** continue ** ** ********* ** **** ****** ****** ********* ** ensure ******* *********** *** ***** ** *********** ** *******. ** * ****** **, * ***** ** **** ********** ** finding *** **** *** *** **** ** *** *************** *** offered ** ***** **** ***** *********** ****** ******, ****** '******' integration? **** *** ********** **'* * ******** *** **** ****** ******* ONVIF ****. *** ******* ****** ****** **** ***** *************** **** different ****** *************: ****** *** ** ****** *******, ******/******* ****** detection (** *** ***** ****** *********). *. ****** ********* **** ***** ******** * ***** ***** ** setting, *** ** **** ******* *** ****** ***** ** * different ******, ****'* ** *** ****** ** ******, *** ********, like *** **** *** ****** (*** *** **** ****** *****!). So ****** ********* ** ***** ** ** *****, **** ** time ****** *** ** *** *** *** / **** ****** detection. *** ****** ** **** **** ** ******* **** ********** so *** ***** * ***. *. ******, ** ** ****** ** ** *, ** ***** events, ****** ******, ****** ********. ***** ******* ******** ** ********* seems ** *** *** **** ** *** ** *******, ****** potentially ****** ******* ****** ** *****. ****'* ** *** * good *** ***** ***** ** ***** ************ *********. *. ***** ****** **** *********. **** ******* **** *** "** support ***** **" ** ** **** * ******* ****** **** like ** **** ** ** **** (*** **** **** *** clearly **** *** ******* ***** ***** ** ** **** ** device!). ** ********* ** **** **** *** ****** ***, ****** a ****** ***** ** **** ** *** ******** * ******* outage ***** ***** ****** ** ***** ******, *** **** **** online *** ********* ** *** *** / *** ***** ** retrieved. ** *** ** * **** ******* ** ******* ****, but **** ***** **** ** ***% ************. **** ***** ***** own **** ** **** *** ** ****** **** ********. *. *********** **********, *** *********** ** ****** *** *********** *** * device ***** ** **** ** *****, ******'* ** * *** thing * *** ***** **** ******* * *** ** **** secure ****** ** **** ******** ** ******* ************ ******. *. ************* ******, ***** ** ****** ** ***** ******* *** * device ************* ******, ** **** ****** **** * ** ********* set ** **** **** ***** **** * **** ****, ******* Onvif ***** ** **** **** **** ****** **** * ******** set ** ********** ** * ****** *** ****** ***** *** then **** * ****** ***, *** * *********** ** * device *** **** ***** * *** ******** ** ****** *** cameras, **** * ********. **** *** ********** *******, * *********** could ** ********* *** ****** *** ******* **** ******* ****** time *** ****. ****#*, *** ***** ** * **** **** *****. ** * VMS *** * ****** ****** *** * ******, *** ******'* backup ** *** ******'* ******** ** * ******** ** ****? Something ** *** ***, ********* ****** ** * ******** ** ONVIF, ***. **** ** * **** **** ********! ** ** *********** ***** ******** ** **** **** ** *************, sometimes **** **** **** ****** ****** ******, *** *** ******** profile * ****** ****** ***** **** ** *** ****** ***** that ******* * *** ***. ** ******* ** ***** ******* *******'* ******* ** *** ***** of *****... * ***** **** ****** **** **** ** * had ** ***** ******. ** ** *******, ***** ** * ********. **'* *****, *******, misleading *** **** ** **************. **** ** ******* ** ** being *********** ** *** ****** ** '********' ********* *******. ** support ** ** *** *** ********, *** *'* **** * direct ************** ** **** ****** *** ***. **** ****** ************** is *******, **** ****** *** ********* ***** ****** *** *** customer ** ****** ***** ********. ** ** *******, ***** ** * ********. ***** ** *** ***** ** *** ******** ** ****** *********, except *** *** ***** ***, ****, ***** ****** **********. **** ******* ** '******' *****'* **** **'* *****. **** **** was *******, ****** ******* *** *** ****** ** ********* **** the ***** ******* ****. **** ******* ** '******' *****'* **** **'* *****. ***, ** ****. ** ** ***** ******* ** *** ******** it. **** ** ** *** ******** *************** ** **** ***** because **** ** *** ****** * ********. **** ***** *** like ***** ** ** ** *******?